Okay, guys, today is the day! Thanks so much for all your help and support this week. All that’s left now is to actually buy the book! And maybe write a lil’ review! 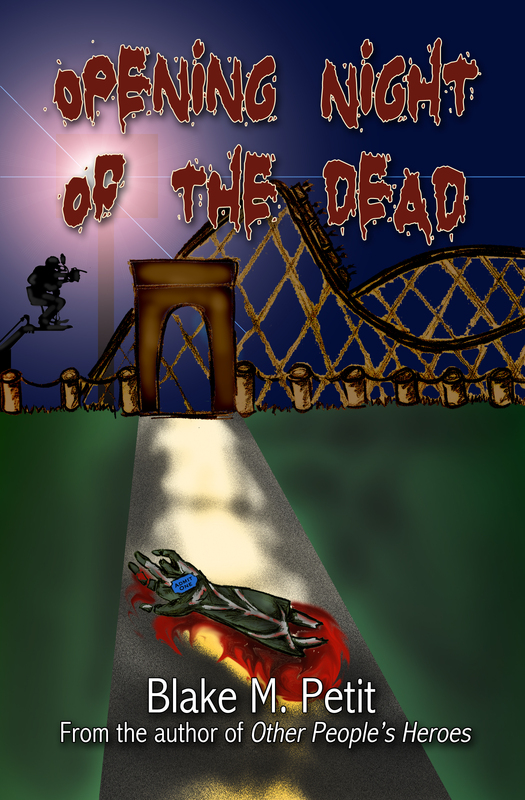 Coming Wednesday to Amazon: Opening Night of the Dead! “The Climax Studios Festival of Fear is a Halloween tradition, but with monsters roaming the theme park and a monster movie filming on the adjacent film lot, what hell will break loose when a real zombie surfaces and starts biting? When you can’t tell who’s alive and who’s undead, can a stuntman, a makeup artist, a sleaze-slinging blogger and a pair of former cops stop the end of the world from sneaking off the studio lot and infecting all of California? Now, the book is going to eventually be available in all eBook formats, through the Nook and iPad and Kobo stores and even in print, but for the moment it’s only available at two sites: the Amazon Kindle store and in all other formats at Smashwords.com. In both places, the book is a mere $2.99 for a full-length novel PLUS the bonus short story, “It’s Time to Play the Music.” You can’t beat that, friends. Now here’s the tricky part. The book is, technically, available for purchase right now. But I’m asking you, please, DON’T BUY IT YET. Wait until Wednesday? Amazon ranking is influenced not only by how many books you sell, but also how fast they sell in a specific period of time. So if everybody reading this buys a book when they read this announcement, it won’t raise the book as high on the list as if everybody waits and buys it on the same day. And the higher it goes on that list, the better chances it’ll be found by people outside of my little community of friends and supporters, and that wil help this community grow, which is really my goal. So if you’re planning to buy the eBook for your Kindle or Kindle app on any device, great! I love you. But PLEASE, wait until Wednesday. In the meantime, though, help spread the word. Pass this link along to anyone you know who’s into zombies, horror, horror/comedy, or who you know enjoyed any of my previous books. I don’t write any story in a vacuum, my friends. Like most of my work, Opening Night of the Dead has ties to another, specifically, it takes place in the same “universe” as my novel The Beginner. Now it’s not a sequel — it doesn’t share any of the same characters or pick up the story. To use a currently-popular movie metaphor, you could watch Captain America without having seen Iron Man and still get a complete story. However, just like those movies, if you HAVE read both of the books, you’ll see links and ties and begin to see a bigger picture. And yes… just like those movies, those links and ties may ultimately be pointing towards a larger story in the future. So, as a bonus to help people who discover my world through Opening Night, from now until August 1, I’m slashing the price of the eBook The Beginner from my usual $2.99 novel price all the way down to a mere 99 cents! Now it’s easier than ever to be introduced to this new universe of mine. And one last thing, friends… every little bit of exposure helps. Once you read these — or any of my books, please go to Amazon (or Smashwords or Barnes & Noble or wherever) and leave a review. Reviews really are a huge help in spreading the word about a little book like mine, and it helps raise the profile on the site as well. Thanks, everyone, who’s been asking about this book and when it was going to come out, particularly my beta readers and my sister Heather, who designed that spiffy cover. It couldn’t have happened without you. If you sit in the middle of the aisles in a bookstore, reading books you have no intention of buying, when the bookstore itself has kindly provided numerous desks, tables, and armchairs, then you forfeit your right to complain if a paying customer “accidentally” kicks you in the face when I’m leaning over you to reach the latest Rick Riordan novel. Read the rest of the Universal Rules of the Universe right here! 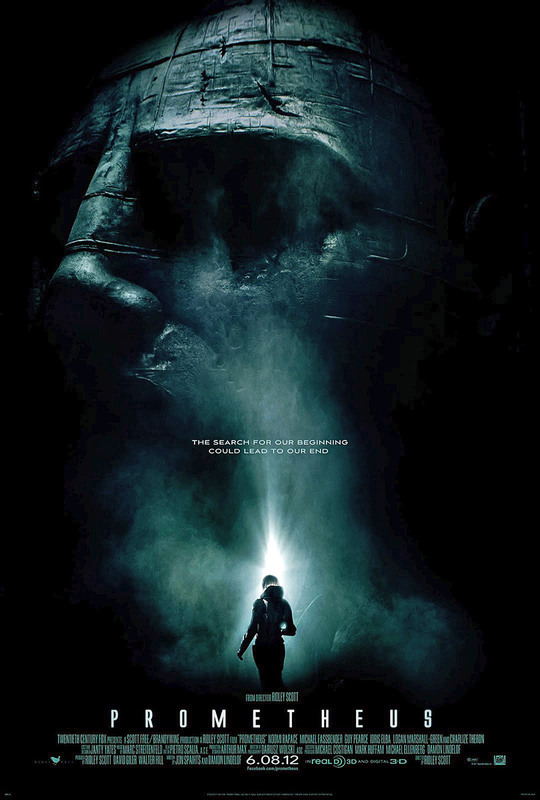 The Showcase guys take in the “kinda, sorta, don’t-call-it-a-prequel” Alien prequel, Ridley Scott‘s Prometheus. Listen in as we discuss our gut feelings about the movie, what worked, what didn’t, and who the film is for. Don’t forget, we’re still taking votes for our upcoming top ten episodes featuring the greatest Avengers and Justice Leaguers of all time! Contact us with comments, suggestions, or anything else at Showcase@CXPulp.com! With Before Watchmen hitting stores today, I thought it would be a good time to look around and see some other superhero universes created for the sake of a single story. Not surprisingly, there are some greats among them.